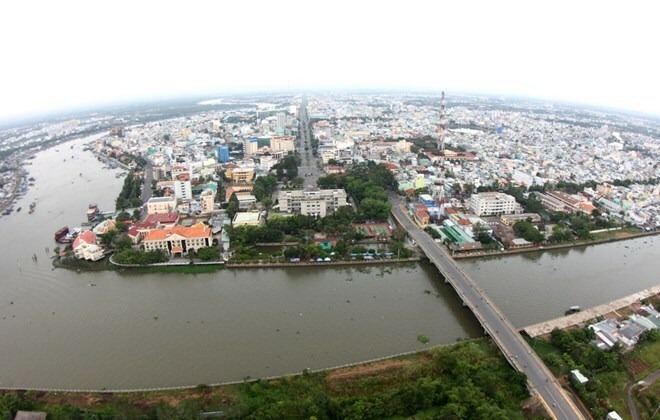 Can Tho (VNA) – The Mekong Delta city of Can Tho is exerting every effort to increase the competitiveness of local businesses in the regional integration, especially with the formation of the ASEAN Community later this year. According to Chairman of the municipal People’s Committee Pham Van Hieu, the city will complete a system of legal documents in line with those of the central government in a bid to develop a healthy competitive environment. Local authorities will instruct enterprises to design concrete measures to actively and effectively join the ASEAN Economic Community, including developing suitable business plans and improving labour productivity. Can Tho now has nearly 8,000 enterprises, more than 90 percent of which are small- and medium-sized enterprises (SMEs), said Bui Ngoc Vy, Deputy Director of the municipal Department of Planning and Investment. Many of the local SMEs are using out-of-date technologies and operating in labour intensive areas, she said, noting that they need to actively link together to draw investment and renovate technologies once the ASEAN Community are set up. Meanwhile, Director of the Vietnam Chamber of Industry and Trade - Can Tho branch highlighted opportunities for enterprises in the Mekong Delta region from the ASEAN Economic Community, especially the agricultural and fishery sectors. He stressed the need for local businesses to actively gain understanding of the regional markets and the impact of trade agreements in a bid to fully tap potential and reduce risks, thus raising their competitiveness. Echoing Vy’s opinion, Dung underscored that local firms should change their mindset by upgrading equipment and expanding production while improving product quality and lowering production costs, especially for the processed agricultural and aquatic products.